Ιoanna and Areti started to compose music since their early age, with their own original music and imaginative lyrics. They live in Athens, Greece. On April 10 2012: they released their CD-SINGLE titled “ENA” (ONE) by FM RECORDS, independent Greek label, with 4 new songs, composition anf lyrics by Ioanna and Areti. It became “Best Seller” for concequently 6 months in the CD-Singles category, in “PUBLIC STORES” one of the greatest retail stores in Greece and Eastern Europe. One of the songs included in this album, the song “FITITI-FITITI (STUDENT)”, became a huge success among the youth of Greece, especially the university and college students. On December 27, 2013: they released the full album titled “DYO” (TWO) by the same independent record label, with 12 new songs, composition and lyrics by Ioanna and Areti. Their songs are for once more performed by new on set, significantly talented singers, but also very famous Greek singers, and legends of Greek music. In this album, their songs are performed by 11 singers in total! The music compositions are played by renown mucisians, and virtuosos of bouzouki, violin, and accordion. This album includes the song “IME ELEFTHERI&OREA (I’M SINGLE AND BEAUTIFUL”, which reached the semi-finals of the International Songwriting Competiton 2012, in World Category. It also includes the song “AMETHYSTOS”, a greek sirtaki dance with bouzouki instrument, which got it to the Finals of the International Songwriting Competition 2012, and as also declared one of the Winners in Instrumental Category! They considered it as a huge honor, and it was highly presented by the press of Greece. They were invited in TV shows, several newspapers and magazines dedicated many articles about the success of Areti&Ioanna Spanomarkou songs in the ISC2012. In 2013, they released 1 more album, this time only digitally, again by FM RECORDS independent label. It is a live recording of a session of their ensemble that Ioanna&Areti, they two composers and lyricists, direct and conduct, under the name “I&A SPANOMARKOU ORCHESTRA” which consists of 7 musicians and 9 singers. The album is titled “Greek Movie Songs”, the same as the theme of the session, which was dedicated to Greek Cinema, and it includes totally 40 live recorded songs! 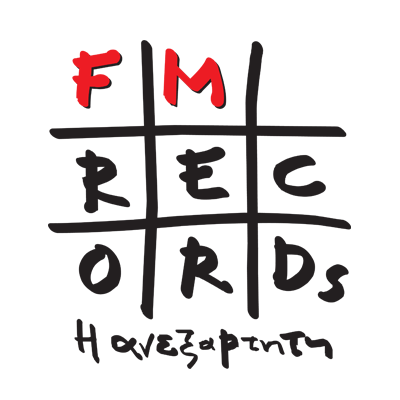 Their songs were included in 2013 in 4 more digital music collections of greek music, and they were released and produced by their label, FM RECORDS. One of these collections titled “Rough Guide to ZORBAS THE GREEK”, contains the ISC2012 winer song “AMETHYSTOS”, and also one very interesting remix of their song “AMETHYSTOS” combined with “ZORBAS DANCE”, the best known song of the legendary Greek composer, Mikis Theodorakis. The result of this remix which is contained in that digital collection, is titled “AMETHYSTOS ZORBAS”! During 2015, Ioanna &Areti Spanomarkou wrote the soundtrack music for two movies, “The Locksmith” (by Director Miltos Christides, Released in December 2015, and has since then received multiple awards in international film festivals), and “Dream Of a Shadow” (by Director Nikita Ballas, which will be released in 2016, at cinema theaters in Greece and Australia). February 23rd, 2016: They released their new album titled “HELLAS POLITIKI KRATOUMENI(Greece, a Political Prisoner) by FM Records label, with several new songs about the Greek Crisis! Two of the songs, are already nomiated to the International Songwriting Competition 2015(Nashville, USA), in World genre Category! Areti & Ioanna Spanomarkou, love the challenge of dealing with classical and modern trends of music, and they experiment mixing the patterns. However, Ioanna and Areti especially love Greek music and have created many folk and “rebetiko” compositions with bouzouki, as they believe they ought to keep alive the passionate flame of the Greek soul which is expressed through these special kinds of original Greek music. The two sisters have already received excellent reviews, and there are many references in the Greek press. Their music is inspiring people all around the world.